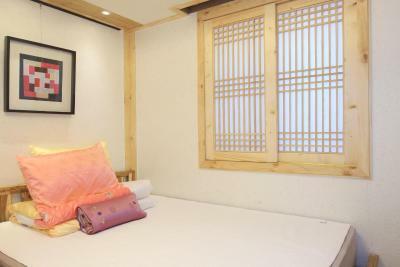 Lock in a great price for Lee Kang Ga Guesthouse Hongdae - rated 9.1 by recent guests. 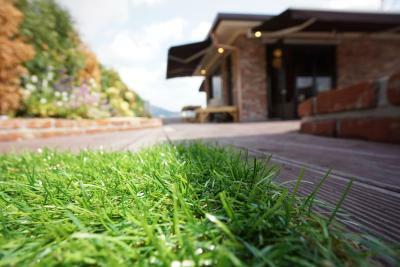 The staff made our stay welcome and understood our requirements which was always dealt with promptly. great experience! 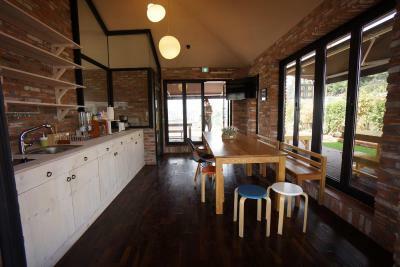 i could feel like in real traditional korean house! 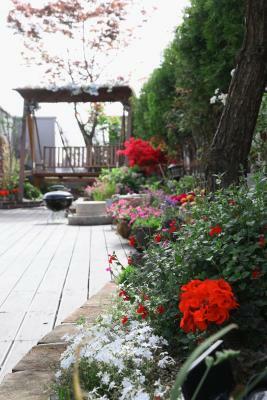 place is lovely, really clean, there was balcon in my room and open space on the roof. Unfortunatelly i stayed there only for my last 2 days in Korea, I regret i couldnt stay longer! 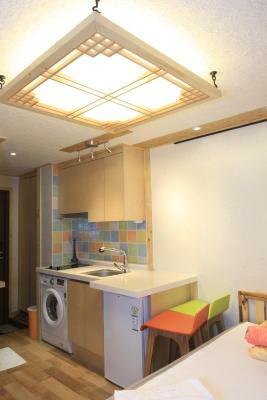 Very good location, just next to the Hongik University. Also I got early check in as I asked for. Great comunication with personel! 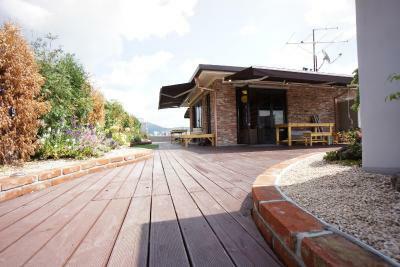 Love the hanok vibes. 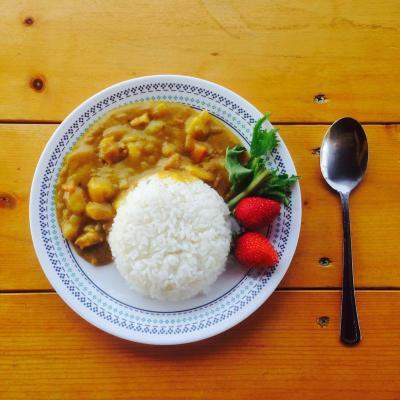 On top of cereal and milk, real breakfast is prepared by the guesthouse owner. Menu is also different daily. 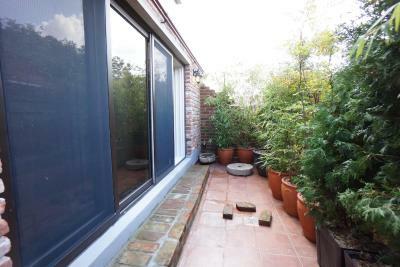 Very clean, spatious room with a big terrace and privet bathroom. Everything is very nicely finished, the interior looks great. 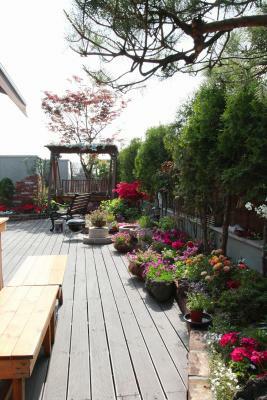 Breakfast is upstairs, where you have a nice roof garden and a very cozy breakfast room. You get a Korean breakfast, but also the option to eat cereal and toast. Very good value for money! 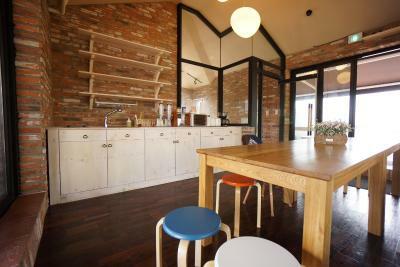 This guesthouse is not a typical guesthouse, I‘d rather call it Mini-Hotel with a beautiful design in the room. 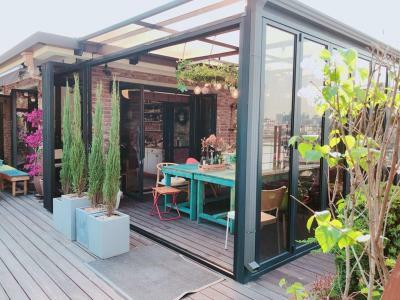 The kitchen is very cool ( I felt being in New York) and has a huge terrace. The staff prepares sandwiches for you in the morning, which was very yummy, good coffee is provided and cornflakes. 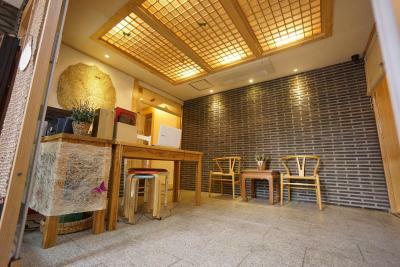 The location is near to Hongik University Station and you can get there easily by bus. 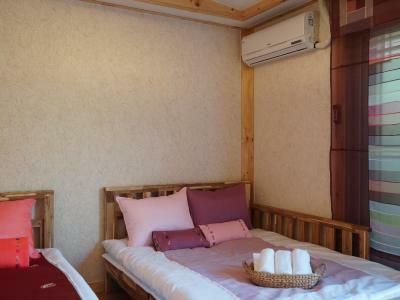 This guesthouse is not far from the metro, about 10-15 minutes by walking. 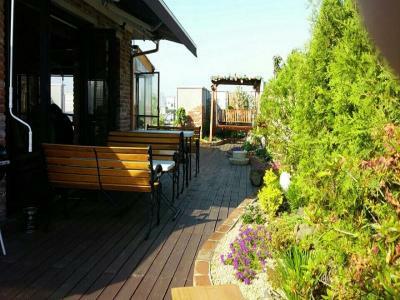 Good and very quiet area, but you can go to Hongdae by walking and see there street musicians and visit a lot of bars and restaurants. 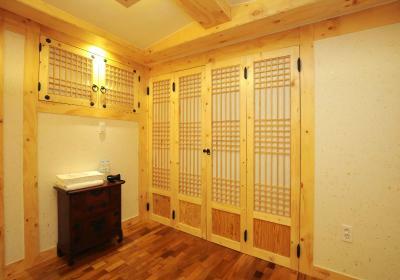 I had a room designed in traditional korean style. All the detaills were very interesting. Room is small but nice. The breakfast was delicious and prepared for me. 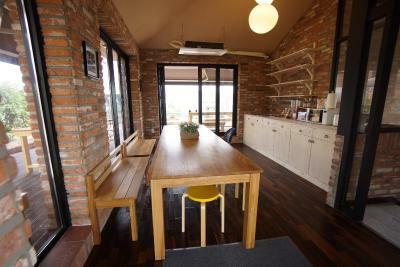 In the dining room there is amazing atmosphere and beautiful view. 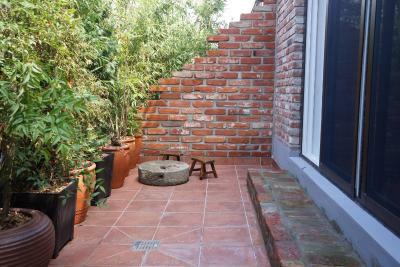 This guesthouse is not far from the metro, about 10-15 minutes by walking. 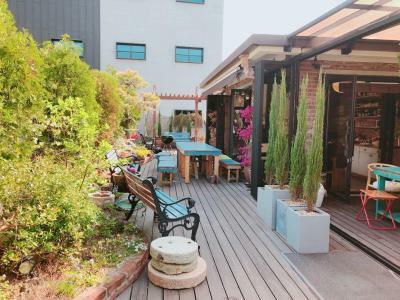 Good and very quiet area, but you can go to Hongdae by walking and see there street musicians and visit a lot of bars and restaurants. 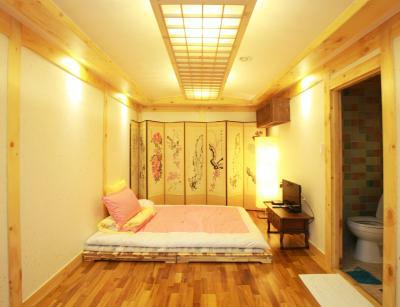 I had a room designed in traditional korean style. All the detaills were very interesting. Room is nice, there was kitchen and wash mashine. The breakfast was delicious and prepared for me. 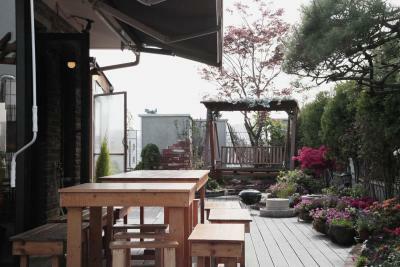 In the dining room there is amazing atmosphere and beautiful view. 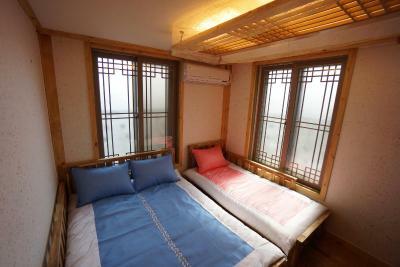 Lee Kang Ga Guesthouse offers comfortable rooms with a kitchenette, some with a balcony. Free WiFi is available, and free parking is on site. 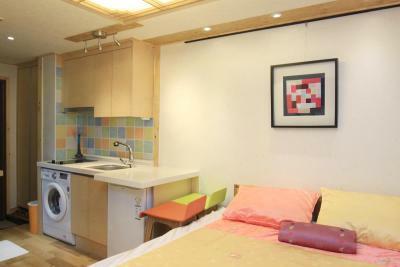 The property is a 15-minute walk from Hongik University Subway Station (Line 2 and Airport Line). 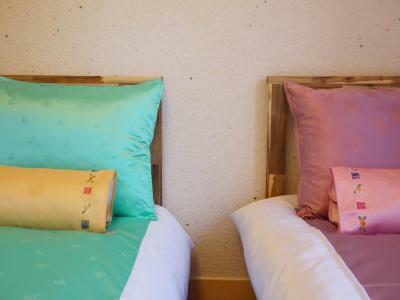 Rooms have a wooden floor, air conditioning and either beds or traditional futon mats on a wooden bed frame. 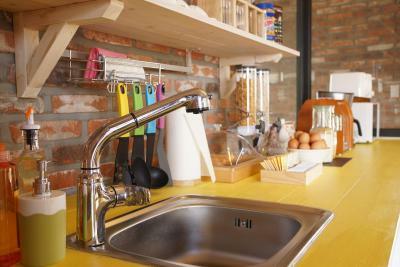 The kitchenette comes with a stovetop, a sink, a fridge and kitchenware. 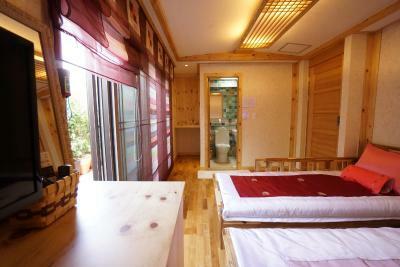 All rooms are fitted with a flat-screen TV, and an attached shower. 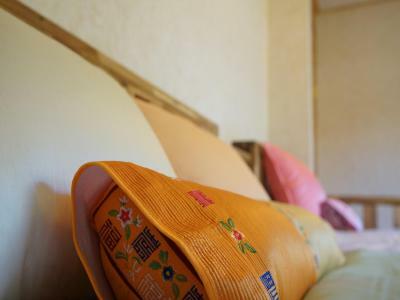 Guesthouse Lee Kang Ga provides a Hanbok, Korean traditional attire, rental service per guest. 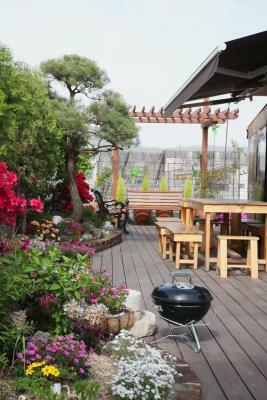 There is a shared dining area with indoor and outdoor tables. Laundry facilities and luggage storage are available. 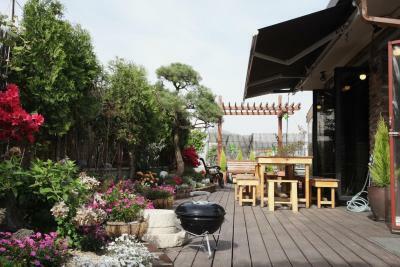 Lee Kang Ga is around a 5-minute drive from the popular Hongik University area, and a 10-minute drive from the Seoul World Cup Stadium. Ewha Women's University is a 15-minute drive. Both Myeongdong and Gimpo Airport are within a 30-minute drive. 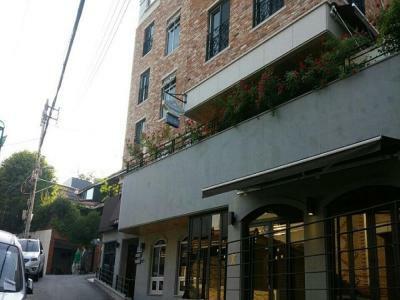 Lee Kang Ga Guesthouse Hongdae has been welcoming Booking.com guests since 16 Sept 2014. When would you like to stay at Lee Kang Ga Guesthouse Hongdae? 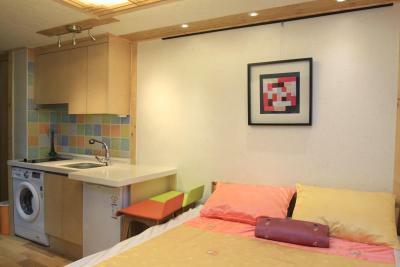 This triple room features air conditioning, kitchenware and kitchenette. 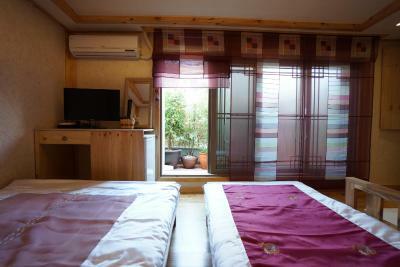 This triple room has air conditioning, kitchenware and kitchenette. House rules Lee Kang Ga Guesthouse Hongdae takes special requests - add in the next step! Lee Kang Ga Guesthouse Hongdae accepts these cards and reserves the right to temporarily hold an amount prior to arrival. All guests are entitled to one glass of free beer at the on-site bar from 21:00 until 22:00, daily. Unfortunately some noisy neighbors but the staff moved us away from this. No English tea or orange juice in the morning but plenty of coffee thank you. 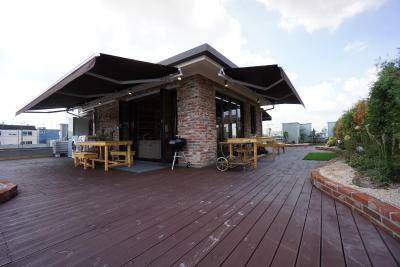 Location was good but little far from Hondae. Room was clean. Staff were nice! The location was great but a bit far from the station by walking. Especially if you have luggage, think twice before booking. It took a lot of effort for me personally because I had two luggage and I went there alone. 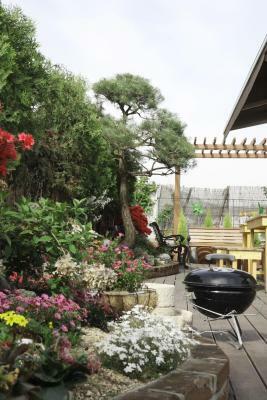 The staff is very friendly and some spoke English very well. The kitchen is well equipped and breakfast was simple but delightful. Feels like home! 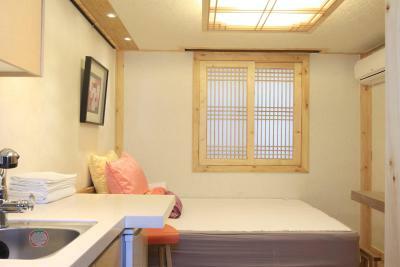 I also loved that it's a Korean style room, made my trip that much better! Took some time to figure out what was where on the kitchen when having breakfast. Place was a little bit further away from Subway stations, but not that much (10 min walk) as is described. The place is really cute, my wife loved it! All this "traditional" style matches very well. Loved the shower and the breakfast on the rooftop was really refreshing. Staff doesn't always speak English, either way they are VERY friendly. I asked for a double room, booked the queen sized bed, but I didn't get as expected. Staff tried to meet my expectations, but still I didn't get the room I booked. It is a pretty nice place to stay. Everything is well described on Booking.com. Staff and facilities are also good. 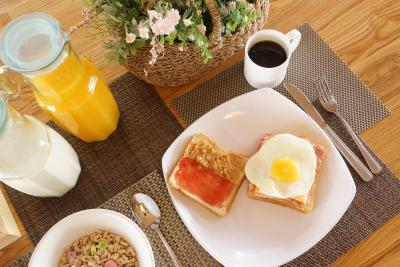 The breakfast is good but could be a bit more various (different kinds of eggs, tea, maybe fruit). 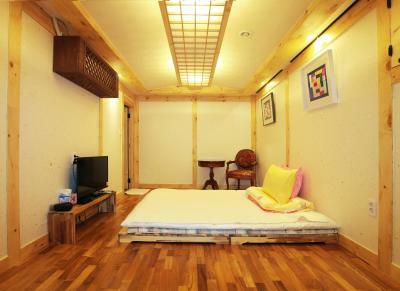 Room feels less spacious than pictures posted but it is a comfortable size for 2 travellers and 2 28-inch luggages. The beds are a bit hard, very thin mattress. Might not be comfortable for everyone. It wasn't available for a second night. Should have found this property earlier! A water cooker and instant coffee would be nice inside the room :).